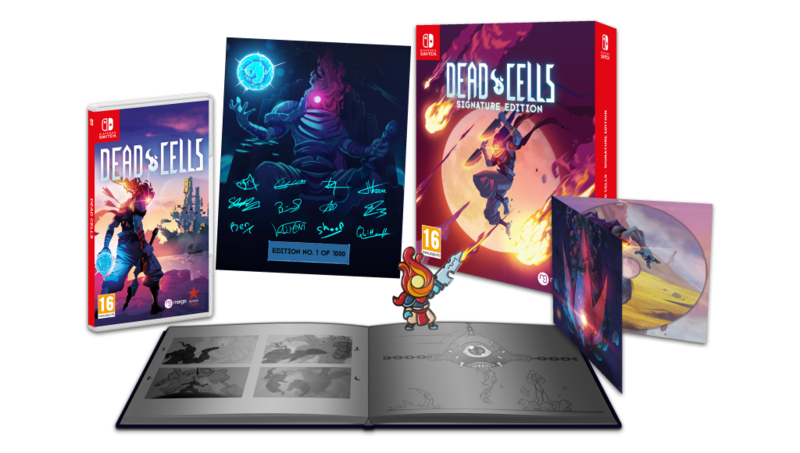 Merge Games is bringing Dead Cells to retail in NA and EU and we now have a date for the release. The standard editions on PS4 and Switch have a 20 page artbook and will cost £24.99 and £29.99 respectively. The Signature Edition pictured above is limited to 2000 copies. Dead Cells is available on PC platforms right now. The console release is on August 17 next month for PS4, Switch, and Xbox with retail versions only on PS4 and Nintendo Switch.